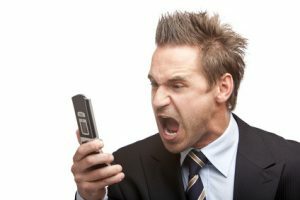 I walked into a restaurant a few days ago, and as I waited in line to place my order, I looked around and saw most everyone on their cell phones sitting at tables eating. There were entire families on their phones; there were couples not engaged in speaking with each other but sitting across the table from each other texting. Is Facebook a problem in your relationships? This is becoming a problem for many individuals who are either addicted to their phones or at the beginning stages of addiction. I hear people talking about FaceBook and the things they read on it. Let’s face it, many people post their dirty laundry (dark secrets) and wonder why they get attacked by followers and complain when others give them advice they don’t want to hear. Believe me, the responses I have seen and have read could be in textbooks in most human behavior classes on what not to say on Facebook. One woman posted her anger towards an ex-boyfriend as she had probably been drinking when she wrote her post. Boy, the friends of her ex-boyfriend were on her like flies on honey. There was no mercy, and they pointed out all her faults. Then her mother got involved protecting her daughter and attacked those who were attacking her daughter. She called them out one by one and named all the things they were known for. She exposed the cheaters, the boozers (as she called them), the drug users, the dead beat dads. She didn’t hold anything back. It reminded me of the song “Haper Valley PTA” song sung by Jeannie C Riley. The lyrics in this song can be applied to many Facebook conversations and posts. Think about these questions for a moment: Do Facebook interactions keep you from family time or from doing your work? 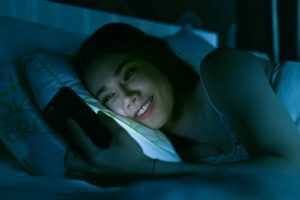 Do you wake up in the middle of the night to get on Facebook to see who is reading your posts? I’ll go much deeper into how you know if you’re addicted to Facebook in future articles on this subject. Many relationships are destroyed by their cell phones and the relationships they get involved with on Facebook. Facebook by far is the most used social networking website for teens and adults. 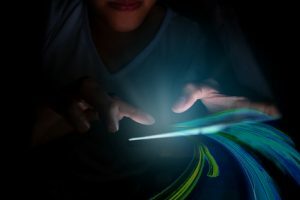 Several people I know spend a great deal of time on Facebook and have no clue how many hours a day they are glued to their computers or cell phones. They fail to get school work done, are late for jobs and don’t communicate with family or friends. 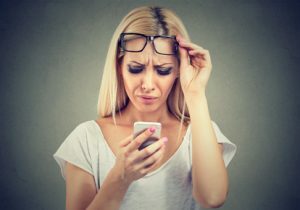 Medically speaking “Facebook addiction” (FA) is not recognized as a disorder nor is “Facebook Addiction Disorder” (FAD). These issues are real, but are now being brought up in Coaching and counseling sessions. I see on an average of four clients a week who are struggling with these issues with their spouses or children. 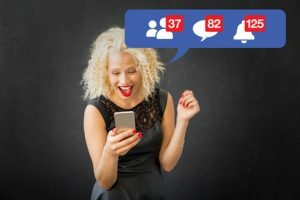 If you or someone you know find that connecting with others on Facebook is the only form of communication you have, then I think you are dealing with an addiction to Facebook. If you can see that there is an issue, the sooner you deal with it the better! There are benefits to having friends on Facebook; I have several that I look forward to talking with on Facebook and talking with them on the phone. I use Facebook for helping others through difficult times. So, if you feel that your addicted to Facebook or are not sure, ask yourself these questions. Do I spend to much time on Facebook during the day? Do I have to keep building my friends list to prove I’m popular? Do I have facebook on my cell phone while eating meals? Do I wake up and go to bed with checking my Facebook page? Do I need help with my addiction to Facebook? If you answered yes to any of these questions, you need to contact Dr. Mike and set up an appointment. Please call Dr. Mike at 303.880.9878 if you need help. If you want to save your marriage, speak up! What is it that you admire about your spouse, keep in mind you both know each other’s negatives, so don’t go there. I think talking about the good things you like in your spouse opens the doors for healing and the less negative talk there is the better. I suggest you stop talking to people during this time who are encouraging you to get a divorce. Don’t let people poison the possibility of your reconciliation and having a happy life together. People love to gossip and especially about your marriage problems. If you know someone who is a gossip avoid them at all costs. Say positive things about your spouse, most people will never spread something you say when you’re speaking encouraging and positive words about your spouse. In closing, I want to share with you a story that will give those hope who are considering divorce as a last resort. A dear friend of mine was madly in love with his wife of twenty years. He found out that she was having an affair with a co-worker. You know he was devastated and hurt when he found out. His world was crashing all around him. He asked if she would go to counseling with him, she said no, not interested! He never judged her, he always spoke kindly about her to others. She continued to see this other man, and throughout seven months of that relationship, it started to deteriorate and eventually ended. Several of her friends would tell her that her estranged husband always spoke about her in a positive way. They started dating and renewed their marriage vows. There is hope for those who can stick it out if counseling is considered by both. 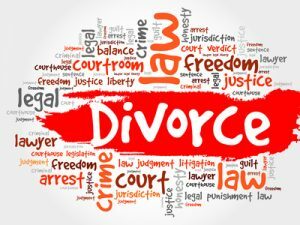 You don’t always have to run to a divorce lawyer when things get bad. Get the facts, process the facts and then decide after talking to a counselor what you need to do. Don’t rush into anything that you will be sorry for. In conclusion, you have to decide if you really are committed to working on your marriage or ending it. You can’t go into this with fifty percent wait and see attitude, that’s not how this works. Give it your all or walk away. I’d say go into this with your eyes wide open. I am reminded of a friend whose husband was married to his business and the corporate world. He rarely was ever home, when he was home he’d bring home his work and have his heard buried for hours in spreadsheets and his laptop. They had three children in sports programs that required running them around on weekends. She was doing it all and she asked if he could help her get the kids to their games. What do you do after a spouse asks for divorce? He looked at her and said are you kidding me? I’ve got to turn these reports in on Monday. He never helped around the home, and she kept asking for his input with the kids at school and their school projects, etc. She had enough, she talked to a counselor and he suggested that they get marriage counseling. She told him about meeting with the counselor and he went ballistic and said that he didn’t need counseling, that she did. He filed for divorce the next day. She went to counseling faithfully for six months while they were in the process of divorce. She got the professional help she needed and was prepared for the end of her marriage. There are those wayward spouses who have no desire whatsoever to stay in a marriage relationship with you, no matter what you’ve done or haven’t done. They have their minds set upon leaving you despite how forgiving you are for their failures. Remember most typically it’s all about them (me, myself and I) and not about you. It’s best to let them go and not fight for them to stay, if you do life will be nothing but headaches and regrets. If you have children, life will be very hard on them if they see you struggling day after day. Protect them from future disappointments with your spouse. This is where a counselor/coach can help you with your next steps. Instead of guessing at “what am I going to do with my life,” sit down and plan out what your goals are. You’ll need to plan for you and the kids future, possibly finding a job, a new place to live, do you need to go to school and get a degree? There is so much that you’ll have to plan for. You now have to create a life for you and the kids, make the best of it. Disappointed wife not getting attention from husband, this marriage is in trouble! Typically, when a marriage starts to fail, the one who notices that there are issues will say something about their unmet expectations in the marriage. The lack of communication, the lack of physical intimacy, avoiding doing things together, etc. If nothing happens, then nagging begins, followed by demands and wanting to be heard and that changes better happen soon. If that doesn’t take place then the distance grows between the couple. This happens over a period of time and grows in intensity when the spouse sees nothing happening. When you’re at wit’s end, then the next step happens, that’s when the spouse who is not happy in the relationship begins to talk to their friends and shares details about their bad marriage, and most likely they will get some bad advice about leaving the marriage. The issue I have with these people giving advice especially to someone having marriage problems is that they are not experienced in coaching or counseling. Most likely they have been through a divorce themselves and never received any counseling and listened to well-meaning friends who also got bad advice. This cycle continues to be a bad problem to this day. Seek help from professionals who can help you in making wise choices in your next steps. Step one, when you’re the spouse who is wanting to work on the marriage, there are things you have to consider. Are the things you want to talk about to your spouse going to be planned out in advance by you? What are the issues, can you be calm and rational during your talk? Have you thought out what needs to be addressed and not a spontaneity moment discussion. If it’s not a well thought out talk, then you will be all over the map when trying to figure out a plan while talking with your spouse. You will walk away more frustrated than before you had your talk. When planning your talk, don’t personally attack your partner, come up with solutions you both can talk about. Ask for feedback during your talk. Always try to find a compromise that works for both of you, if you can’t then come back and try talking again at a later time or date. 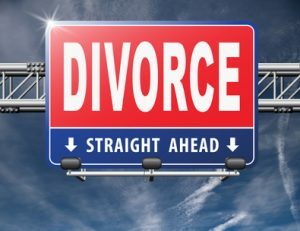 In next weeks article we will continue to examine why people want a divorce and what to do about it.